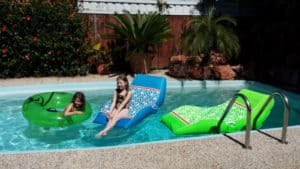 Pool Party Planning Takes Time -Calif- Pool Heaven Inc. It never fails! Imagine it’s Friday at 2 p.m and the phone rings. We have heard it 100 times and it never gets easier to respond to. The caller says ” Our heater is not working and we’re having a pool party tomorrow!”. We don’t work on weekends and our repair schedule is 1 week to 2 weeks filled in the summer. We do our best to get to emergencies and work with different scenarios, but we are not miracle workers. Pool party planning weeks before will prevent problems. 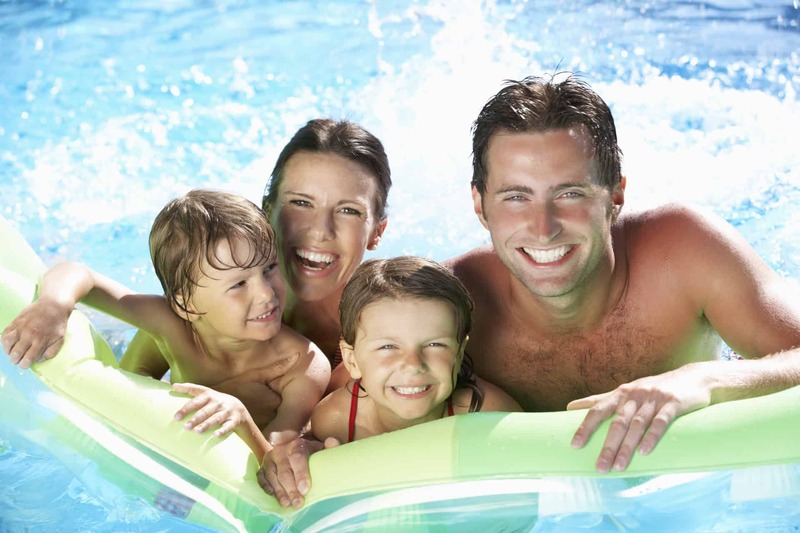 You need to inspect and test your swimming pool equipment 2 weeks before your swimming pool party. 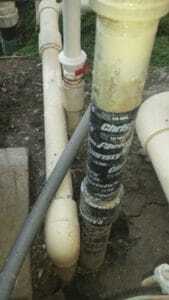 This should give you enough time to schedule, troubleshoot, fix, and test most swimming pool repairs. 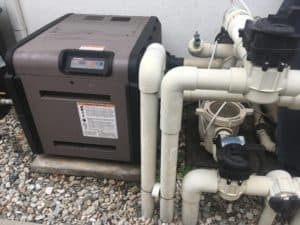 It is common for a pool heater repair to involve ordering parts and/or multiple visits. There are plenty of advantages and benefits to modern heaters, but there are also more movable parts, electronics, computer boards, fans, and synchronization. 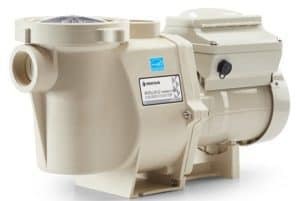 These parts are more sensitive and expensive than older, pool heater parts.The other issue is that modern Lo Nox heaters went through a dynamic change to lessen the burden of toxic emissions from pool heaters. All heater designs changed and there are more bugs in all the heaters made from all the equipment makers. This is to be expected as this is how innovation works, but what our customers have to understand is that heater repairs are never simple and what appears to be just one part or problem could be just part of a problem and/or there are bigger issues inside the heater that we cannot see until we open it up and start replacing parts. We also have to charge a troubleshooting service to diagnose every heater repair. Read about this process here. 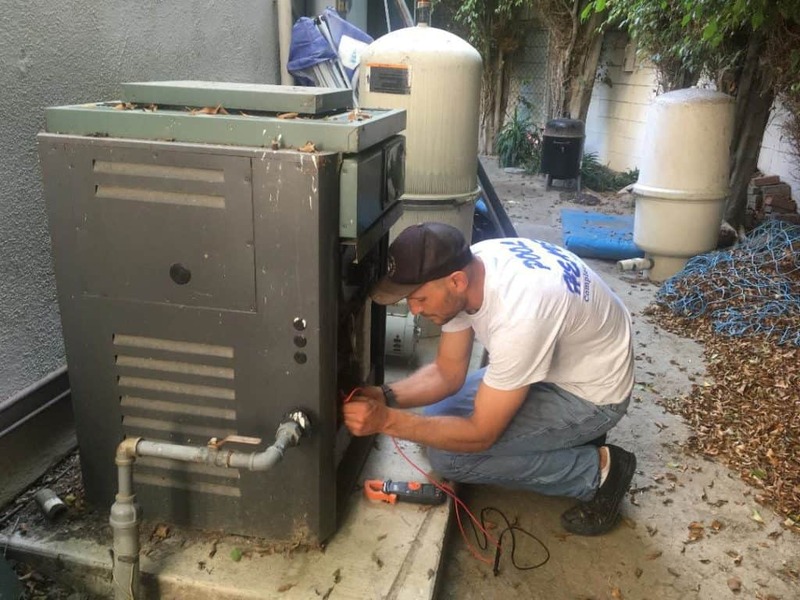 Replacing multiple, EXPENSIVE pool heater parts is common and now that there are more moving parts and computer boards in an outdoor setting exposed to the elements, repairs are more common and expensive. Your simple heater repair could end up costing $800 to $1,200 after all is said and done and when we estimate a price, we are estimating at least that amount! We have several pool service contractor companies that we trust to refer when we get overwhelmed with repairs, so we do our best to get our regular cleaning service customers taken care of. 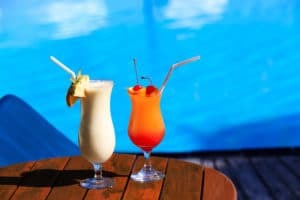 The problem is that we all get very busy around holidays and heat waves, so it is always a good idea to start your pool party planning weeks before your party. This should definitely include confirmation that all of your pool equipment and controls are working including your pool heaters. Also, sometimes the pool heater is inconsistent and it only heats to a certain temperature. You want to make sure that your heater heats to an expected temperature for the party for proper confirmation. Another good idea for pool party planning is to heat the pool up the day before your party for good measure. This way your pool is already set for the party and just needs a little follow through the day of the event. If you plan on using a lot of features like pool and spa lights, jets, fountains, etc., your party planning should include testing all the features, so there is no surprises the day of. 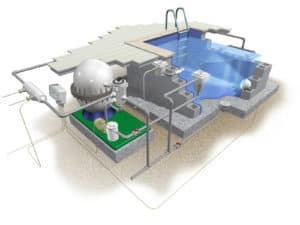 Again, many of the repairs involved with a swimming pool repair may involve ordering parts and multiple pool repair visits. Something we also recommend is utilizing the text feature of your cell phones for quick response time with your pool service. Some problems are easy as well and may just involve quick information from your service provider via texting. It is far easier for us to see a text and respond than to listen to a message and call back. We get very busy in the summer and work very hard to get our weekends off. It is not uncommon for us to receive 30 to 50 phone calls across our phones with several voice mails on a given day in the summer. Texting helps save us time and is the easiest path to process and provide information to our pool service customers. We spend a lot of time in our trucks driving, so we do our best with communication when we are out of the truck. Voicemails take far more time to listen to and respond. We are in our trucks a lot and we can filter text messages so much faster. Having a texting relationship with the manager of your city helps you keep in contact with your pool service provider without being invasive. It also provides an electronic reminder for them if there are instructions, addresses, or phone numbers. Filtering back through voicemails takes up a lot of time. You can help us help you in a big way by texting us that your pool party planning for a party on a certain date. Utilizing Email is another more convenient resource that eliminates phone tag potential. Our mission is to make your pool party planning successful for a spectacular pool party. We want your swimming pool to sparkle for all to enjoy! Party planning weeks before your party will provide plenty of time for your pool repair without making your pool service contractor rush and cause unneeded stress for everyone. It also helps you focus on other pool party planning things like ice and balloons. Keep swimming and don’t forget to give yourself enough time for your pool party timing. Proper preparation and a perfectly working pool is another major part of enjoying your own Pool Heaven! Next PostHow does Pool Equipment Work in Costa Mesa, Ca. 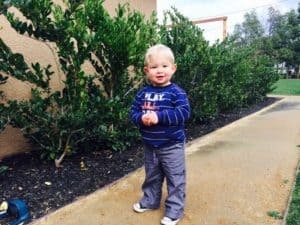 Pingback: Orange Swimming Pool Cleaning Service - Calif - Pool Heaven Inc.
Pingback: Efficient Swimming Pool Saves Money - Calif - Pool Heaven Inc.